Violent clashes broke out on Tuesday evening in Aida refugee camp in Bethlehem between Palestinian youths and Israeli occupation forces, wounding two young men one of them was arrested by IOF. IOF prevented ambulance crews from reaching a Palestinian teenager who was hit by a tear gas bomb and arrested him, while another young man was injured by rubber bullets, spokesman for ambulance and emergency services in Bethlehem said. The spokesman stressed that the IOF used the Red Crescent ambulance crews as human shields while withdrawing from Aida refugee camp after being besieged by young men who threw stones at them, warning against the serious implications of such Israeli practice on medical crews. Local sources identified the injured young man as Sajid Jawarish, 17, while an Israeli soldier was wounded by a stone during clashes that erupted after Israeli soldiers stormed the camp. 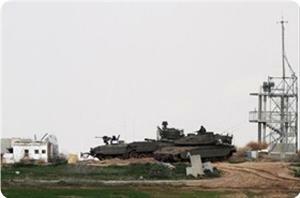 Israeli forces Wednesday infiltrated Gaza borders and went into the eastern part of Khan Younis, south of the Gaza Strip, for the second day in a row, according to witnesses. They told WAFA that four Israeli tanks and two army bulldozers raided and razed tens of dunums of agricultural land while shooting in all directions. A Palestinian young woman was injured on Tuesday after being hit by a settler’s motorbike, at the entrance to Beit Ummar village north of al-Khalil, medics said. 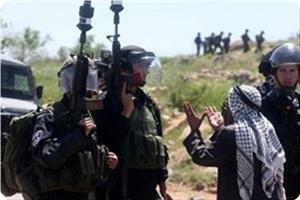 Mohammed Awad, Media spokesman for the Popular Committees against the Wall and Settlements in Beit Ummar, said that a settler riding a motorcycle hit Alaa Diab Alami, 22, and fled towards Karmi Tzur settlement, set up on Palestinian lands in Beit Ummar and Halhoul. 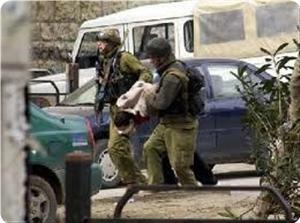 The Palestinian young woman suffered bruises and serious leg injuries. The Palestinian Red Crescent's ambulance transferred the victim to the hospital, where her condition was described as moderate. During the past three years, Kuhn has worked with interfaith organizations and political leaders in Israel and Palestine to assure that deminers representing both countries will be included in the historic Roots of Peace landmine removal program, said the statement. Kühn met with both President Mahmoud Abbas and Israeli Prime Minister Benjamin Netanyahu to gain their support for her landmine initiatives and got unanimous legislation at the Israeli parliament, the Knesset, to allow her “peace action” to begin in the first days of spring 2013, added the statement. Following the successful removal of landmines, the planting of grapevines and olive trees will occur, it said. “This Mines To Vines® humanitarian effort, from the heart of a mother, will inspire others to plant the roots of peace so that they may protect the footsteps of innocent children,” said Kuhn. There are an estimated 1.5 million landmines and UXO in the Holy Land, said Roots of Peace. Following the completion of her work in Bethlehem, Kühn aims to broaden the Roots of Peace demining efforts to Qasr al Yahud, the Baptismal site of Jesus. Roots of Peace is an international humanitarian, non-political organization. 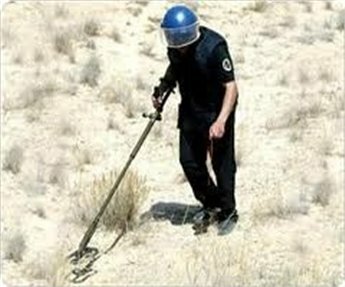 It works to unearth dangerous landmines in war-torn countries. 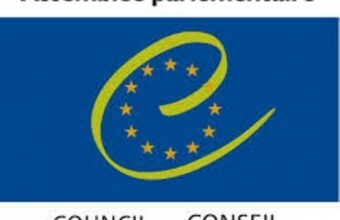 Journalists and human rights groups discussed with members of the Middle East committee of the Parliamentary Assembly of the Council of Europe (PACE) the prisoners issue, human rights violations and the status of Palestinian journalists. During the meeting, which was held at the Legislative Council in Ramallah, the Palestinian delegation briefed PACE members on the prisoners issue and the need to highlight their worsening conditions. Sahar Francis, director of the Prisoners Support and Human rights Association 'Addameer', said that the prisoners' issue must be emphasized in future negotiations and "prisoners should be released as a sign of good will." Al-Haq director, Shawan Jabarin, called for a re-evaluation of the status quo and insisted that the European Union must ban settlement products from entering European markets and pressure Israel to change its policies. Palestinian journalists briefed PACE on Israeli violation of their right for free movement and access to information. They spoke of Israel's policy of targeting journalists and the most recent arrest of cartoonist Muhammad Sabaaneh. They highlighted as well imprisonment of Palestinian Legislative Council members. PACE members informed the attendees that they are currently drafting a report on the topic of administrative detention. Israeli occupation forces (IOF) arrested a Palestinian man in Madma village, south of Nablus, after shooting him on Monday night. Eyewitnesses said that they heard the sound of gunfire near the Madma bridge that links between Madma and Burin villages and some of them tried to approach a man who was wounded in the shooting. 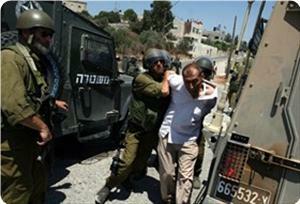 They said that the soldiers prevented them from approaching then arrested the man, who was not identified. The citizens quoted the soldiers as saying that the man was trying to threw a firebomb at an IOF patrol and that they shot him in response and hit him in his foot. They said that another man was in the company of the wounded person but disappeared after the incident and they could not find him. A photographer from Bethlehem is in a stable condition after being shot in the face by Israeli forces with a rubber-coated steel bullet on Monday, medics said. 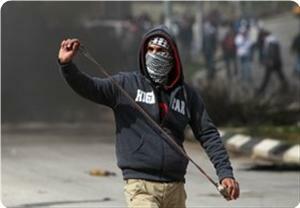 Muhammad al-Azza, 23, was shot in Aida refugee camp while covering clashes between youths and Israeli forces. 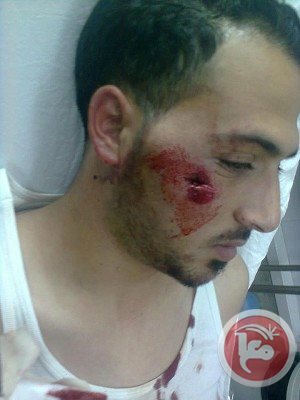 He was taken to the Arab Society Hospital in Beit Jala and underwent surgery on his face. Medics said al-Azza, who works at the Lajee Center in Aida camp, is in a stable condition. Palestinian medical sources reported that a Palestinian cameraman was shot in the face, on Monday evening, by a rubber-coated metal bullet, in the Aida refugee camp in the West Bank city of Bethlehem. The Palestine News Network (PNN) has reported that Mohammad Waleed Al-Azza was shot during clashes that took place between Israeli soldiers invading the camp and local youths who hurled stones at them. PNN added that Al-Azza, who works at the Refugee Media Center in addition to freelancing for PNN and other agencies, was deliberately shot in the face by the soldiers who tried to stop him from documenting the invasion. The soldiers tried to push him away, and when he refused to leave, one of the soldiers pointed his gun at him and shot him from a relatively close range. Al-Azza’s medical condition was described as moderate; he was moved to the Bethlehem Arab Society for Rehabilitation, in Bethlehem, where he will undergo surgery. The camp has been witnessing an extended wave of escalation since several months now, due to repeated Israeli invasions and attacks against the residents, PNN said. Several reporters have been injured in recent clashes between the soldiers and the Palestinians in different parts of the occupied West Bank, and occupied East Jerusalem. Israeli police patrols chased a bus carrying Palestinian workers from the West Bank and arrested 19 of them after the bus crashed into a shop on Monday morning. Eyewitnesses said that the bus crashed into a shop selling furniture in Kufr Qassem in the Triangle area in northern Palestine occupied in 1948, adding the driver lost control of the bus. They said that four workers managed to escape but the policemen arrested 19 others, adding that the workers miraculously emerged unharmed from the bus. They said that the chase posed dangers on schoolchildren in the Arab village at a time when they were heading to their schools. Many West Bankers take the risk of entering 1948 occupied Palestine without permit to look for work in light of the scarcity of work opportunities in their hometowns and villages. Inhabitants of Aroub refugee camp engaged in violent clashes with an invading force of the Israeli occupation army on Monday morning. Ahmed Abul Khairan, the coordinator of services in the camp, told the PIC that Israeli occupation soldiers fired tear gas canisters and metal bullets at dozens of young men who confronted the soldiers’ storming of the camp. He said that many were treated for breathing problems, adding that tension was still running high in the camp’s vicinity as Israeli military reinforcements were reportedly sent to the area. Israeli prison guards have attacked Palestinian prisoners inside an Israeli jail following their non-violent protests, Press TV reports. A special Israeli unit was called into Ramon prison to attack Palestinian prisoners, who were protesting against the death of 64-year-old political detainee Maisarah Abu Hamdiah who died in an Israeli jail last week, Press TV correspondent Nel Burdern reported from the West Bank city of Ramallah on Sunday. The Palestinian prisoners protested by shouting and refusing food from the Israeli prison guards, but the guards responded by attacking the prisoners using electric rods and firing tear gas. following the attack, many prisoners were placed under solitary confinement or transferred to other prisons. "These special forces don't respect international law. And the administration of the Israeli prisons doesn’t care about international law,” Mourad Jadallah told our correspondent. Palestinian Minister for Prisoners Affairs Issa Qaraqe has said that medical negligence in the Israeli regime’s custody led to the death of Abu Hamdiah, adding that this is a common situation occurring in all Israeli prisons. The Palestinian prisoners told an Addameer lawyer that the protests are continuing and that the punishing measures conducted by the Israeli prison guards will not put an end to the protests. The April 2 death of Abu Hamdiah sparked outrage throughout the occupied West Bank, the Gaza Strip and inside Israeli prisons, as the Palestinians believe that the treatment by Israeli guards inevitably caused his death. This is the second death of a Palestinian political prisoner this year. Last month, 30-year-old Arafat Jaradat died of torture by the Israeli prison guards. Palestinian lawyers refer to the violence used by the Israeli prison guards against Palestinian prisoners as dirty tactics and that they continue to defy international law and the fourth Geneva Convention. On February 13, acting Palestinian Authority chief Mahmoud Abbas appealed to the international community to intervene in support of Palestinian prisoners on an open-ended hunger strike to protest their detention conditions in Israeli prisons. The American Seeds of Peace organization began Monday to remove landmines from land belonging to the Bethlehem area village of Husan, according to the village head of council Taha Hamamre. He told WAFA that the landmines were a real nightmare to the village residents and have already claimed the life of five people and caused injuries and imputations to many others. A large number of sheep were also killed. He said the final stage for removing all the landmines will take place on April 21 and after that the land will be returned to its original owners to reclaim it. The mines go back to the pre-1967 period, when Jordan ruled the West Bank, and cover an area of around 10 dunums of land. A Palestinian youth was seriously wounded in clashes with Israeli occupation forces (IOF) in Khader village, west of Bethlehem, on Sunday evening. Local sources said that IOF soldiers fired gas bombs at a demonstration in the village and one of them exploded in Ahmed Al-Shuweiki’s face. They said that the 19-year-old youth suffered fractures in his skull and was carried in an ambulance to Beit Jala government hospital where his condition was described as “serious”. Four other young men were injured with rubber-coated bullets fired by the soldiers while dozens suffered breathing problems due to the IOF extensive firing of teargas at the marchers and at local houses. Speaking on eve of Holocaust Remembrance Day, Peres says, 'There are still those who learned nothing.' Netanyahu: Hatred against Jews hasn't vanished, but replaced by hatred against Jewish state. "The Holocaust will not sink in history's gaping hole. It is here with us, blazing and real. It echoes as we step on the ghettos' stone floors," President Shimon Peres said at a ceremony on the eve of the Holocaust Remembrance Day. Six torches were lit during the ceremony at Yad Vashem. Peres said, "The Holocaust does not permit us as a Jewish people to shut our eyes and must serve as a constant warning sign to all of humanity. The map of Europe still contains anti-Semitic stains. To our shame there are still those who have learned nothing. "There are still Holocaust deniers. Crises are again being exploited to establish ridiculous but dangerous Nazi parties. Sickening anti-Semitic cartoons are still being published. The quest for justice and freedom has not ended." The president continued, "The enlightened world must ask itself how is it that so soon after the crematoriums' fire was extinguished, after the terrible cost the Allied Forces paid to subdue the Nazi devil, there can still be an Iranian leadership that denies the Holocaust and threatens a with another Holocaust. "Whoever ignores a threat of Holocaust directed at one people must know that such a threat at another is the same as a threat against all peoples." Prime Minister Benjamin Netanyahu also spoke at the ceremony. "Lately we have witnessed shocking manifestations of violence against the elderly, including Holocaust survivors. There is nothing that contradicts the Jewish heritage and basic human morals more. We shall not tolerate it." He further added, "Holocaust survivors are the symbol of revival. They deserve to live the rest of their days in peace, security and dignity. " Addressing the Iranian threat, he said: "There are those who wish to extinguish our light. Iran openly declares its intent to destroy Israel and is pursuing all means to achieve that goal." Netanyahu quoted Iranian clerics as saying that "Zionists are microbes and bacteria. The Jews are filthy people who spread disease." "It was not said only then, it is being said today. Iran's ruler today says that 'Israel is a cancerous tumor that must be removed from the Middle East.' The murderous hatred that follows our people's history has not vanished but replaced by a hatred against the Jewish state. What has changed since the Holocaust is our determination and ability to defend ourselves." "We appreciate the international community's efforts to stop Iran's nuclear program but at no point will we place our fate in the hands of others, not even in the hands of our greatest friends." A special ceremony was also held at the Massuah Institute for Holocaust Studies dedicated to mark 70 years to the Warsaw ghetto uprising. Justice Minister Tzipi Livni spoke at the ceremony and concluded her speech on a personal note. "Many times I ask myself what I would have done had I been there. Would I have been the one to leave the ghetto to bring food? When I became a mother I asked myself, would I have thrown my children off the train? Would I have had the guts to do that? Or would I have taken them with me. And what would happen if I was forced to choose between the two? "I ask myself, would I have seen the signs in time to call out 'let’s leave' or 'let's fight.' Honestly, I don’t know the answer, but I do know that it is our job to look to the future and detect both dangerous and opportunities." Earlier on Sunday, a special IDF delegation headed by Chief of Staff Benny Gantz arrived in Poland. "In a cold and clear day, one can't understand or bridge the gap between the surrounding quiet and the horror that took place around the camp's sheds," Gantz said at a ceremony in the Auschwitz death camp. Gantz added that "The State of Israel is the safeguard against the recurrence of this horror, and the IDF is the wall around the national home, the haven for the Jewish people." On Monday, Holocaust Remembrance Day, Israelis across the country will observe a moment of silence in memory of the six million Jews who were slaughtered by the Nazis and their helpers. A ceremony will then be held at Yad Vashem. An hour later, the names of the Holocaust victims will be read at the Knesset plenum, as in every year. In Poland, the March of the Living will kick off at 2:30 pm and three hours later a ceremony will be held at the Birkenau death camp. Two Palestinians were critically injured on Sunday during clashes with Israeli soldiers in the town of al-Khader, south of Bethlehem, said local sources. They told WAFA that both were hit with live ammunition; one in his chest while the other was shot in the head. 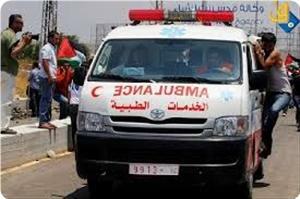 Their injuries were described as serious and both were transferred to Beit Jala hospital to receive medical care. A Palestinian woman was hit by a plastic-coated bullet in her back during clashes between young Palestinian men and Israeli forces in the Um Rukbeh area in al-Khader south of Bethlehem Sunday. Medics identified the victim as Amneh Ali Khader Salah from al-Khader. She was shot in the courtyard of her house. Amneh's brother has been serving a life sentence in Israeli prison since 1993. 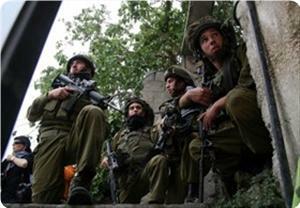 An Israeli army spokeswoman said she was checking into the reports. 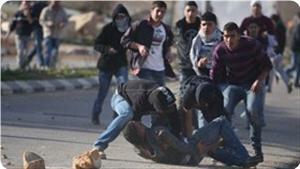 Several Palestinians were also injured on Saturday in clashes in al-Khader. Popular committee coordinator Ahmad Salah said that a number of youngsters were injured with rubber bullets, and one of them was taken to the hospital. He added that Israeli forces fired a tear gas canister into a house, causing injuries to an 80-year-old woman and her young granddaughter. They were both taken to the hospital. 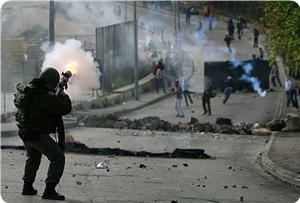 Violent clashes broke out Saturday evening between Palestinian young men and Israeli soldiers in Al-Khader town in Bethlehem in the wake of news about a life-threatening decline in the health of prisoner Samer Issawi. According to Quds Press, the Israeli occupation forces showered the young men and homes with a barrage of tear gas grenades and also fired rubber bullets intensively at them. One of the tear gas grenades landed inside a house causing the family of Khaled Salah to suffocate. A 10-month-old baby girl and an elderly woman were taken to Al-Hussein hospital after they almost suffocated to death. A young man was reportedly suffered a medium injury in his head when an Israeli soldier fired a rubber bullet directly at him during the events. Prisoner Samer Issawi, who has been on hunger strike for more than 260 days, is protesting his arbitrary re-detention after his release in a prisoner swap deal in October 2011. Samer is suffering from various health problems as a result of his long-time hunger strike, including low blood pressure and irregular heart rate, severe pain in the kidneys, muscle pain and constant headaches. In a related incident, some families of prisoners rallied on Saturday in Bab Al-Amoud square in occupied Jerusalem in solidarity with the Palestinian hunger strikers in Israeli jails. The relatives of the prisoners held pictures of the hunger strikers, especially prisoner Samer Issawi to demand his release due to his serious health condition. Lawyer Shirin Issawi, the sister of hunger striker Samer, said that the health status of her brother is extremely serious and his heart muscle has become very weak, warning that he could die any moment. Shirin appealed to the world's free people to save the life of her brother before it is too late and pressure the Israeli regime to release him immediately. The sit-in took place as a force of Israeli policemen and troops encircled the participants and took pictures of them. Palestinian medical sources reported that dozens of Palestinians have been injured by rubber-coated metal bullets and due to the effects of teargas inhalation during clashes with Israeli soldiers in Abu Dis town, east of occupied East Jerusalem. Israeli soldiers also kidnapped seven Palestinian identified as Mahmoud Khaled Jaffal, Laith Sami Awwad, Morad Rabee’, Mustafa Abu Roomy, Sami Ash-Shamaly, Montaser Gheith, and Mohammad Khalaf. All were moved to the Maale Adumim Police station before being moved to Ezion detention center. Medical sources reported that dozens of residents have been treated for the effects of teargas inhalation after the army fired dozens of gas bombs, and that several Palestinians have been shot by rubber-coated metal bullets, some to the head, and that most of the wounded have been moved to local clinics. The soldiers also fired several rounds of live ammunition and concussion grenades. 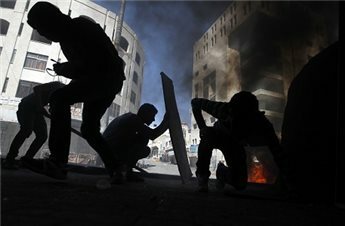 The clashes were part of ongoing protests taking place in different parts of the occupied West Bank, including occupied East Jerusalem, following the death of detainee Maisara Abu Hamdiyya, 64, who died last Tuesday of an advanced stage of cancer resulting from the lack of medical attention in Israeli prisons. On Friday, Palestinian medical sources in Hebron, in the southern part of the occupied West Bank reported that 39 Palestinians have been injured by rubber-coated metal bullets fired by the army at Palestinian protesters, and that dozens of residents have been treated for the effects of teargas inhalation. On Wednesday, the army shot and killed two Palestinians during clashes that took place near the Anabta military roadblock, near the northern West Bank city of Tulkarem. 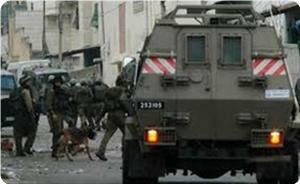 Several Palestinians have been injured and at least three have been kidnapped. Israeli occupation forces (IOF) opened machinegun fire at Palestinian farmers and their farms to the east of Khan Younis, south of the Gaza Strip, on Saturday morning. 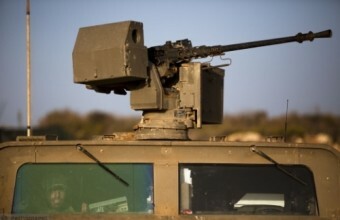 The PIC reporter said that soldiers mounting jeeps and military watchtowers in the vicinity of Kissufim army base opened their machinegun fire at farmers and their fields near to the border fence east of Khan Younis. He said that most of the farmers could not reach their fields as a result of the shooting, adding that medical sources did not report any casualties. Palestinian resistance in Gaza signed a calm agreement with the IOF under Egyptian auspices last November that stipulated a halt to the firing of rockets from Gaza in return for ending the Israeli aggression on the coastal enclave. The agreement also stipulated cancelling the Israeli-imposed buffer zone along Gaza borders and allowing farmers to tend to their land in those areas. Israeli occupation forces (IOF) nabbed three Palestinians in Al-Khalil city including a ten-year-old child and a young man in Bethlehem at dawn Saturday. Palestinian security sources told Quds Press said that the soldiers detained Abdulhadi Abu Snene, 10, from Jabal Al-Rahme area in Al-Khalil. 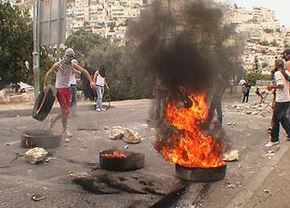 They said that two young men were arrested near the Ibrahimi mosque in the Old City of Al-Khalil. IOF soldiers also arrested a young man in Aida refugee camp to the north of Bethlehem after breaking into his father’s home. Meanwhile, medical sources said that 30 citizens were wounded in the confrontations in Al-Khalil on Friday between IOF soldiers and Palestinians protesting the death of prisoner Maysara Abu Hamdiya in Israeli custody. 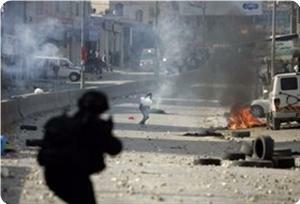 They said that the injuries were due to the IOF soldiers’ use of rubber bullets and teargas to disperse the protestors. Despite its documented violation of the truce in Gaza several times before, Israel complained to the UN Security Council about recent Palestinian projectile attacks. Israel's representative to the UN Ron Prosor filed a complaint denouncing the projectile attacks from Gaza and threatened another war on its people in order to protect Israel's citizens. Before the latest alleged fall of rockets in Israeli empty areas, the Israeli army had violated the Egyptian-brokered truce with the Palestinians many times and killed four Palestinians in Gaza and injured many others during different military attacks. 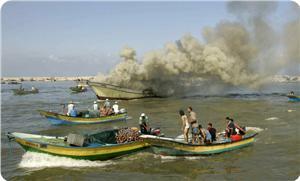 The Israeli navy had also harassed and attacked Gazan fishermen with no reason several times. Even last Tuesday, Israel waged two aerial attacks on Palestinian targets in Gaza. These Israeli violations and many others were reported to Egypt by the Hamas-affiliated government in Gaza during their occurrence. In a fresh incident, the Israeli occupation forces opened fire on Friday evening at Palestinian citizens east of Jabaliya to the north of the Gaza Strip. The Palestinian information center (PIC) reporter in Gaza said that one civilian suffered medium injuries in one of his legs during the Israeli attack east of Al-Shuhada cemetery in Jabliya.